Jeff Benedict, New York Times best-selling author and director of Southern Virginia University’s newly founded Institute for Writing and Mass Media, will conduct an interview-style forum with special guest Carolyn Lumsden, opinion editor of The Hartford Courant, on Friday, November 18, at 11 a.m. in the Stoddard Center. The forum will be the second in a series of interviews conducted by Benedict with influential leaders in writing and media. During first installment on Oct. 28, Benedict interviewed special guests B.J. Schecter, executive editor at Sports Illustrated, and Rick Wolff, Senior Executive Editor at Houghton Mifflin Harcourt Publishing, in front of the campus community. Lumsden has worked with The Hartford Courant since 1992, where she began as the first female editorial page editor of the newspaper, using its Fourth Estate power to advance open government, fight public corruption and advocate for the marginalized. Her editorials on juvenile court secrecy led to the relaxation of state confidentiality laws that allowed journalists, victims, social workers and police more information on cases. For her work on confidentiality law, she was honored with a national Sigma Delta Chi award and named Times Mirror Journalist of the Year. Lumsden took a small reprieve from editorial writing to receive a Knight Fellowship at Yale Law and pioneer ‘Fresh Talk,’ a program for young journalism writers. 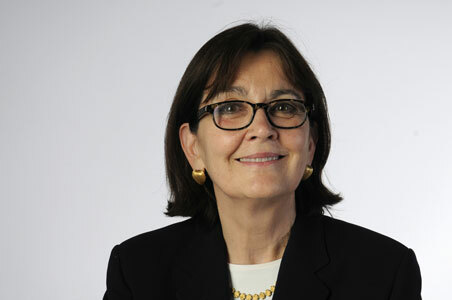 Lumsden returned to editorial writing in 2005 and her editorials helped initiate historic reforms to Connecticut’s courts, including the opening of judge’s meetings to the public and allowing camera’s into the courtrooms. Lumsden was honored in 2015 with the Yankee Quill Award – the highest individual honor bestowed on journalists by the Academy of New England Journalists. Community members and Southern Virginia faculty, staff and students are invited to attend campus forums and devotionals each Friday morning at 11 a.m. in the Stoddard Center. Recordings of past forum and devotional speeches may be accessed on svu.edu.